The tradition of giving Offenbach’s opéras bouffes in English is venerable, extending back to the 1872 British premiere at the Holborn Theatre, again in an adaptation. There was even a film version made, in both French and English, in 1936. Without feeling especially strongly about the matter, I slightly missed the sound of the French language; however, I suspect that, given a cast of young, mostly Anglophone singers, the immediacy gained, not least in the spoken sections, was compensation enough. (The preponderance of dialogue reflects the work’s origins as a piece for the Palais-Royal, as opposed to Offenbach’s accustomed, so-aptly-named Théâtre de la Gaîté.) There is, after all, nothing to prevent one from travelling for a little of the vie parisienne oneself. Beaton made a virtue out of translation by having the original Swedish noble couple, the Baron and Baroness de Gondremarck, become Lord and Lady Ellington, thereby permitting jokes about the English abroad, their views of ‘foreigners’, and so forth. Offenbach had already reduced the original five acts to four; here we saw a three-act version, which, if occasionally it lost something in terms of motivation, ensured that the piece did not outstay its warm welcome. Every element of Jo Davies’s production was a joy. It did not seek depth or impose it where there was none – though that can on occasion work – but concentrated on sharp direction of the performers against a backdrop of views, or suggested, views of Paris. Bo Bailey’s designs, from what seemed to be the Gare d’Orsay of the first act, to the Moulin Rouge and Eiffel Tower of the last. Kay Shepherd’s choreography contributed greatly to the tightness of overall effect, whilst the coordination between stage direction and choral singing – a crack team, this! – really had to be seen and heard to be believed. The chorus not only sang, as my companion remarked, as if with one voice; it moved and danced with one, too – except, of course, when everyone had to be doing his own thing, in which case that was equally well accomplished. Michael Rosewell seemed in his element conducting the excellent RCM Opera Orchestra. The last thing one would want here is even a shred of sentimentality; there was none to be discerned. Rather, the tightness of ensemble on stage was mirrored, doubtless to a good extent engendered, by that in the pit. Peter Kirk made an affecting, but not too affecting, Gardefeu; one believed just enough that he might have something equating to love for Métella, but equally well in his dandyism. (The costumes certainly helped!) Hannah Sandison’s character was less well-formed as Métella, but she did not come well out of the rehashing of the work; Sandison certainly sang well enough though. Rosemary Braddy and Morgan Pearse both shone in their different ways as the English noble couple: the former dignified and lovely of voice, the latter not only impressive in his baritone but adept at the comic timing of sending himself up. Filipa van Eck increasingly stole the show as the glovemaker, Gabrielle, whether in her assumed guise as Austrian military widow – cue a good number of Alpine jokes – or as the naval wife of Bobinet’s assumed admiralty (another fine performance, by Luke D Williams). Van Eck’s vocal performance was equally impressive: definitely one to watch. Vasili Karpiak proved a scene-stealing Brazilian – outrageous in every sense. But there were no weak links, and the ensemble really was the thing. It will soon be time for me to return to Wagner, in London (at the Proms), Seattle, and Salzburg; Offenbach proved quite an amuse-gueule. In typically imaginative style, the Aurora Orchestra prefaced its performances of Wagner’s Siegfried-Idyll and Beethoven’s Septet with introductory monologues, sometimes shading into dialogue, sometimes tellingly at cross-purposes, between Richard and Cosima Wagner. Barry Millington ensured their historical accuracy, though I could not help wondering whether that preceding the Siegfried-Idyll was a little on the lengthy side. There was, of course, a great deal of information to impart: how they met, the progress of their relationship, and the events of that first, Tribschen staircase performance. Moreover, I suspect that those less well-versed in Wagner biography would have welcomed the opportunity to set the work in context. One theme that certainly shone through, as it does from even the most cursory glance at Cosima’s Diaries, was the crucial aspect of nineteenth-century gender relations, taken, as it were, to the extreme by Cosima’s extraordinary marriage of self-abnegation and sheer stubbornness. Henry Goodman summoned up a degree of Wagner’s protean nature, though the assumption too often shaded into mere arrogance; as so often, the charisma to which Wagner’s friends and acquaintances attested was less apparent. Harriet Walter penetrated more deeply – perhaps, ultimately, it is a more achievable task? – into the strengths and, in modern terms, ‘passive-aggressive’ contradictions of Cosima. Nicholas Collon conducted the excellent Aurora players in the Siegfried-Idyll. Their soloistic skill combined with the Hall One acoustic to permit an uncommon degree of clarity, so much so that the birdsong seemed to point to Mahler, and even beyond, to Webern’s pointillism. Earlier on, there were a few occasions when I thought Collon might have yielded more, but the performance grew more flexible through its course. If anything, there was perhaps a little indulgence at the end, though it was readily forgivable. If it seems invidious to single any player out, I shall still do so, mentioning Oliver Coates’s especially sensitive turning of the crucial cello line; one might almost have listened to it in itself. Taken as a whole, this fine performance granted us the opportunity to hear that in one far from negligible sense, Cosima was right to view herself as the most fortunate of women, for who else has received a birthday present such as this? Beethoven’s glorious Septet was played as true chamber music, Collon wisely leaving the players to themselves. In every movement the very particular marriage – not only Richard and Cosima deserve that epithet – of Mozartian serenade style with thematic working born of Haydn shone through, as sunny as the music itself. (Mozart’s wont was always to impart greater sadness, implied or otherwise.) Whatever tempi were settled on were made to work, and never, even when swift, to turn brittle, such was the sense of life in performance. The quiet dignity of the Adagio, for instance, contrasted tellingly with the swing of the following Minuet: so tricky to capture, yet effortlessly, or seemingly effortlessly, achieved on this occasion. Haydn’s influence certainly pervaded the fourth movement variations; I thought in particular of his late F minor/major set for piano. Above all, there was joy, which was just as it should have been. If Leipzig’s staging of Die Feen remains my highlight so far of Wagner’s anniversary year, this recital, on its smaller, relatively unassuming, scale probably comes next. Wagner’s songs play an interesting part in his output. Little heard, they are rarely characteristic, at least given the Wagner we generally hear – and of course, excluding the mature Wesendonck-Lieder. (Matters seem a little different, though not entirely so, when we admit, as we should, Wagner’s first three operas into the canon.) Yet, if most would be hard put to guess the composer, the songs not only show gifted assumption of various styles, as suggested in his early prose writings on German, French, and Italian music; they are well worth hearing in their own right. Janice Watson and Joseph Middleton certainly proved excellent advocates for this music. Bar very occasional strain on a high note and a few confusions with the words, Watson’s engaged and engaging performances will surely have won a good few converts. Command of line was impeccable throughout, as was diction. One never had the sense that a favour was somehow being done to ‘obscure’ repertoire; the songs were treated with the care, dignity, and understanding that they deserve. Likewise Middleton’s accounts of the piano parts. Hovering, as does Wagner, between the pianistic – Wagner was never much of a pianist himself – and the orchestral, Middleton’s animated performances offered great harmonic and stylistic understanding, as well as unfailing support for the singer. 'Gretchen am Spinnrade', the sixth of Wagner’s op.5 Goethe Faust-Lieder (1831), may never dislodge Schubert from our affections, but it comes surprisingly close to him in tone and indeed in assuredness. The 'Melodram', last in that set, peers some way into the future. Neither its Weltschmerz nor its harmonic language would seem out of place in The Flying Dutchman. Die Feen is perhaps closer still; indeed, given a period of immersion in Wagner’s first opera, I was struck by a recurrent phrase, which he would reuse, consciously or otherwise, on that occasion. Middleton’s structured tone painting was splendidly complemented by Watson’s spoken delivery of the text. Wagner, we were reminded, was most definitely a ‘German’ composer stylistically, before what we think of as his ‘early’ experiments with more Italianate and French styles. Not for nothing had Der Freischütz made such an impression on him as a boy. The Georg Scheuerlin setting, Der Tannenbaum, from 1838, sounds more mature still: a wonderfully dark evocation of death foretold. As the fir-tree explains to the boy, it feels bitter when thinking of him, since the axe would soon fall upon it, to furnish the wood for the boy’s coffin: ‘Daß schon die Axt mich suchet zu deinem Totenschrein, das macht mich stets so trübe, gedenk’ ich, Knabe dein.’ One might almost think a version of Siegfried, with more of a consciousness than his successor would attain, was already beginning to receive his forest education. The French songs would surely only have been recognised as the work of the same composer by someone who knew. They show an almost disturbing ability to assume not only a very different style from the Lieder, but even from each other. If Berlioz’s mélodies are perhaps the most abiding presence, especially in the delightful Tous n’est qu’images fugitives and Mignonne, then it is rather Meyerbeer who comes to the fore in the well-nigh scena-like Adieux de Marie Stuart. Watson’s deft handling of the coloratura was complemented by Middleton’s well-attuned ear for the moment when the piano should really turn operatic. La tombe dit à la rose is an oddity, in that the piano part is almost entirely absent. It might have been interesting to hear an attempt at realisation, but one can understand the desire simply to present what Wagner wrote; certainly his melodic gift, whatever contemporaries might have said (on which, see David Trippett’s excellent new book, Wagner’s Melodies), did not desert him on this or indeed any other occasion. The Wesendonck-Lieder are of course familiar territory. Both performers clearly relished the opportunity now to present Wagner fully-formed, if still in (relative!) bagatelle-like mode. Watson’s command of idiom was as impressive as her at times quite extraordinary vocal shading, finely matched in the piano part. If, at first, I wondered whether ‘Im Treibhaus’ was being taken a little too swiftly, I was entirely won over by an account which, though it did not shun Wagner’s Tristan intimations, recognised quite properly that this was a song in its own right. Middleton ensured that there was no reason whatsoever to lament the lack of an orchestra, whether Wagner’s, Felix Mottl’s, or Henze’s enchanting chamber scoring. Schumann’s Liederkreis, op.24, nevertheless reminded one of the difference between a great composer who wrote some wonderful songs and a great composer of Lieder (amongst other things). The ease of song-writing, the complex psychology of those miraculous piano parts, was given full opportunity for expression; the disturbing inevitability of ‘Mit Myrten und Rosen’ brought a tear or two to my eye. Liszt may not have been primarily a song-composer, and unsurprisingly proved more experimental in that field than Schumann, but the examples of his art we heard also served to remind us of the appalling neglect he continues to suffer. The ‘gypsy’ music of the Lenau setting, Die drei Zigeuner; the proto-impressionism of Ihr Glocken von Marling; the keenness and intelligence of response to Heine in Im Rhein, im schönen Strome: all was powerfully conveyed. Watson showed herself just as much at ease with the vocal line as Middleton with the gorgeous piano parts, a treat for any pianist with the requisite technique and stylistic command. It is probably Liszt who deserves another anniversary, since there remains so much of his music known only to specialists, if at all. It seemed meet and right, then, that the encore should be a loving account of Über allen Gipfeln ist Ruh. Wagner 200 continues throughout the year. There are two further concerts this week alone; I shall be reporting back from the Aurora Orchestra’s Wagner and Beethoven concert. I have also, doubtless unwisely, agreed to participate in a debate in October on an issue about which more nonsense is spoken than any other, namely, Wagner and the Jews. And click here for a noble musician's selection of Desert Island Discs; what a great deal Abbado's choices say about him. It was a delight to welcome back Erich Höbarth and Susan Tomes to the Wigmore Hall, following an earlier all-Mozart recital last September. For just a few opening bars of the D major sonata, KV 306/300l, I was unsure about the balance, Höbarth’s violin sounding a little too forward, but soon all was well. Höbarth offered nicely modulated tone, born in part of intelligently varied vibrato; Tomes’s piano part was clean, clear, equally pleasing in its attentive though not fussy shading. This first movement proved predominantly sunny, the stormy contrast of the development section well judged. Warm lyricism from both players characterised the slow movement. Conversational rhetoric made its delightful points, without detracting from overall structure. Again, the fine degrees of shading from both Höbarth and Tomes impressed: not for its own sake, but for the insight showed into Mozart’s music. Such qualities were equally apparent in the finale. The tricky alternating metres were successfully navigated, not least in a witty account of the cadenza. The first movement of the F major sonata, KV 376/374d, showed itself by turn radiantly lyrical and sensitively sinuous. Poised throughout, it was nevertheless alert to the music’s sterner moments. The sophistication of Mozart’s melodic and harmonic construction – when does one idea end and another begin? – was perceptively and lovingly communicated in the Andante. Mozart’s abundant melodic genius was once again hymned in the finale. Harmonic understanding was equally apparent, whether with a broader brush or in the subtlety of the moment. The second half opened with the G minor Variations on ‘Hélas, j’ai perdu mon amant’. Mozart’s dignified sadness in this tonality was readily apparent, as was a fine sense of give and take, rubato included, between pianist and violinist. The performance culminated in a dramatically vehement sixth variation. Why do we almost never hear this wonderful music? Tomes then had the stage to herself for the B-flat major Piano Sonata, KV 570. Her first movement upheld the balance between Bachian counterpoint and sinuous melodic chromaticism. Voicing was clear, and there was ample sense of formal dynamism. Above all, the deceptive ‘simplicity’ of this sonata and of late Mozart more generally was granted a voice. I initially cavilled at the swift tempo for the slow movement; it is, after all, marked Adagio. Yet it was made to work in unassuming fashion. There is greater profundity to be found here, not least of the searingly Romantic variety, but this was certainly preferable to striving after meretricious ‘effect’. Some decoration was applied, all eminently reasonable, though that did not prevent a seemingly irritated and unquestionably irritating man in front of me from shaking his head whenever it occurred. Tomes surely navigated the treacherous demands of the finale; even its opening phrase is enough to have one throw one’s hands in the air and say that it is unperformable. Crucial to her achievement was the ability to place notes, both in themselves and in relation to one another: there is, as ever in Mozart, nowhere to hide. Mozart’s marriage of learned counterpoint and extreme chromaticism once again worked its eternal marriage; we did not sound so very far from the well-nigh Schoenbergian Gigue, KV 574, as indeed we are not, whether musically or chronologically. Again, decoration was tastefully employed. Höbarth returned for the E-flat Violin Sonata, KV 481. Difference in scale from the earlier works for piano and violin immediately registered. Here was a grander canvas, upon which, most creditably, Mozart’s music was granted plenty of space to breathe, the Fuxian ‘Jupiter’ tag from the first movement’s development section making clear the composer’s seriousness of purpose. I could not help but wonder whether the drama of that movement as a whole might have been projected a little more strongly, but it remained an eminently musical performance. Again, a grander scale was apparent in the slow movement, though certainly not at the cost of more intimate moments. There was, quite rightly, a strong sense of the operatic aria to the performance, especially from Höbarth, but there also remained a complexity that was inescapably ‘instrumental’ in thought as well as deed. I again missed on occasion a stronger sense of drama in the finale, but it received a fluent performance, in which, no mean feat this, instrumental balances were always finely judged. And from the fourth variation onwards, any prior reticence was banished. There was, moreover, an excellent lilt to the final, ‘hunting’ variation. As an encore we heard another great aria-like slow movement, that to the A major Violin Sonata, KV 526. Anniversaries, as we are too frequently given occasion to reflect, are curious creatures. More often than not, true opportunities are missed. For instance, the 2011 Liszt bicentenary offered, with a few exceptions, little more than a greater number of performances of the same relatively small number of pieces. Vast swathes of a fascinating if undoubtedly uneven œuvre went unexplored. This year we enjoy and/or suffer Wagner, Verdi, and Britten. At least in England; it is difficult to imagine that the Britten centenary is receiving quite the same or perhaps any level of overkill elsewhere. 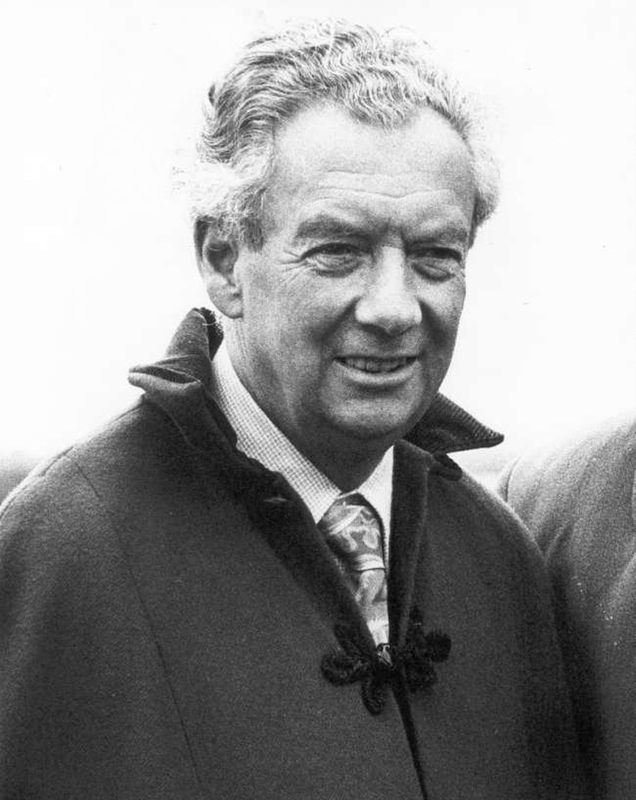 Yet for some, Britten is treated as if he were the utmost in modernity. Why? There is parochialism pure and simple: the UKIP tendency, people who write in to Proms controllers lamenting the lack of wall-to-wall Arnold Bax and so forth. (For the rest of us it has never occurred to value something because it was English, British, or whatever; if anything, we probably tend to be a little less indulgent upon our ‘own’.) But there is also another peculiarity of English musical life, namely the prevalence of choral establishments. The bizarrely skewed standpoint that results from the daily repertoire of most Anglican foundations presents a world of early music worthy of the name: Byrd, Tallis, Purcell, perhaps even a little Palestrina and Monteverdi, though certainly not too much. However, as time goes on, choirmasters take a peculiar historical detour from which they never return, miring themselves and their charges in an otherwise unknown world of Victoriana and post-Victoriana, apparently quite ignorant of core repertoire that others would take for granted. The likes of Sir Hubert Parry – a favourite of the Prince of Wales – rise to quasi-Wagnerian heights, whilst the twentieth century consists not of Schoenberg and Stockhausen but the camp followers of Sir Charles Stanford. No wonder, then, that Britten assumes a greater importance than he otherwise would: if a less consistent composer than Elgar, he remains, perhaps even in Gloriana, several cuts above most of the ‘English choral tradition’. In The Turn of the Screw, moreover, Britten shows himself by any reasonable standards a true musical master. There are even references and connections to some musical developments from ‘abroad’. The problem of ‘abroad’ was of course part of the composer’s tragedy too: who knows what so prodigiously talented a musician might have accomplished had he not been thwarted in his desire to study with Berg? Perhaps he might then, however, have put himself utterly beyond the pale for the English musical nationalists. It would have been all the better for him if he had. In a sense, Britten may have been born too early – though Elgar had, admittedly, managed to deal with not dissimilar problems rather more successfully. The next generation, that of the Manchester School, found it far easier to consider itself one of composers rather than ‘English composers’. There may be certain ‘English’ qualities and interests, but no one would overemphasise their importance, and they would doubtless go unnoticed by the devotees of Sir Edward Bairstow. (Don’t ask!) Needless to say, the music of Birtwistle, Goehr, and Davies is eclipsed by the likes of John Rutter’s pop-like chirpiness or, still worse, the soft-centred clusters of fellow Anglophone, Eric Whitacre; or rather, it does, to the bemusement of the rest of us, in a strange, almost hermetically-sealed world for which Britten remains an example of music as ‘modern’ as would be seemly. Rescue him from the clammy clutches of his devotees, and we might yet have the opportunity of a truer re-assessment. The Royal Opera offered a strong performance and production, for the most part as excellent as we have any right to expect, of what remains, alas, a very weak opera. Aldeburgh fundamentalists, a highly vocal sect that is yet diminishing with age, will maintain that Gloriana’s dreadful initial reception was to be attributed to a philistine audience of coronation dignitaries and the merely prejudiced. (Richard Jarman, General Director of the Britten-Pears Foundation, writes in the programme of a composer ‘whose musical conservatism was attacked by the avant garde in his lifetime but whose reputation has outlived his critics.’ Well, he would, wouldn’t he?) The way some speak of the debacle, one would think that a a masterpiece of the order of Birtwistle’s Mask of Orpheus had been slighted. It is certainly difficult to begrudge the opportunity to find out for ourselves, in what is the first time since the brief 1954 revival that the Royal Opera has staged the work, but the flip side of that opportunity proves to be realisation that many of the criticisms levelled at the work in 1953 were justified after all. Though not really a criticism of the work as such, it is extraordinary to think that anyone could have thought this an appropriate subject for dedication and tribute to a new queen: it would surely have been far better left to stand on its own feet, appearing a few years later, after the composer had had more time to work on it. La clemenza di Tito, far and away the greatest of all coronation operas, may have been written in breakneck time, even by Mozart’s standards, but, wonderful conductor of Mozart though Britten was, he certainly lacked Mozart’s combination of greatness and incredible facility. The opera is certainly not helped by William Plomer’s dreadful libretto, laden down by unconvincing archaisms and cringeworthy rhymes of which ‘duty’ and ‘beauty’ is far from the worst offender; nor is it assisted by all too formulaic scene-by-scene alternation between ‘public’ and ‘private’ realms, which encourages a dramaturgy that barely advances, if indeed it does at all, beyond Verdi. (Half-hearted applause greeted the end of each scene, whilst Richard Jones’s metatheatrical production, about which more below, did its heroic to make the scene-changes of interest.) Schiller or Boris Godunov this conflict decidedly is not. Apart from Elizabeth I herself, and perhaps the Earl of Essex, characters, such as they are, tend to be products of plot situations rather than vice versa. Yet even the manifold dramatic weaknesses do not excuse the weakness of so much of the score itself. Even the mild syncopations of the opening chorus sound shop-soiled: as if drawn from a Britten manual of how to add a little ‘modernity’ without frightening away the horses. Large sections of the orchestral writing seem little more than padding. At their best, there is a kinship in vocal lines to Purcell; much of the time, however, they veer between the merely nondescript and the inappropriately Italianate (as in nineteenth-century Italianate, certainly nothing contemporary). And if Norwich might not always be accepted as a heaving metropolis, does it really deserve the tedium of the ‘masque’? (I could not help but think of those dreadful shows the present Queen and Duke of Edinburgh must sit through when on an official visit, doubtless longing to be taken as quickly as possible to Balmoral or Newmarket.) Dramaturgically, there are signs of hope there: at least Britten is doing something different. Rarely, however, does his formulaic music rise to the occasion; it is actually more interesting when it alludes most strongly to Tudor styles, though the ‘real thing’ would be more interesting still. Matters were not helped by having the first and second acts run together without an interval; it made for a very long time, scene changes included, sitting through pretty insubstantial stuff. That said, there could be no gainsaying the commitment of the Royal Opera’s forces to presentation of the work. If there were times when Paul Daniel might have sped things up a bit, one did not need to know that he had conducted the score before, for Opera North, to hear that he was fully in command of it. Likewise, the Orchestra of the Royal Opera House and the Royal Opera Chorus, as ever excellently prepared by Renato Balsadonna, responded with enthusiasm and sensitivity that lay almost beyond the call of duty, regal or otherwise. Casting was of great strength, the only real problem being Susan Bullock’s vocal fallibility in the title role; without too much effort, though, one could accept that as reflecting the fallibility of an ageing monarch. Otherwise, Toby Spence proved as fine an advocate as the Earl of Essex could ever expect: ardent, sensitive, headstrong as required. Mark Stone offered a finely-sung, equally finely-acted, darker-hued foil as Lord Mountjoy. It was an especial joy to hear Patricia Bardon’s true contralto, plaintive and full of tone, as the Countess of Essex, with Kate Royal’s Penelope equally well sung, if less clear of diction. (The weird outburst in the final scene, quite unmotivated by what little character development has previously been offered, is certainly not her fault.) Smaller roles such as Sir Walter Raleigh (Clive Bayley), Sir Robert Cecil (Jeremy Carpenter), and Carol Rowlands's splendidly shrewish London Housewife offered ample opportunity for care with words and music, however undeserving. Likewise, Brindley Sherratt made the most of the tediously repetitive part for the Blind Ballad-Singer; again, comparisons with a superficially similar role in Boris Godunov are unfortunate, to say the least. Richard Jones pursued his task as director with palpable relish. The production offers a metatheatrical view of staging a 1953 celebration, framed by a small procession of dignitaries. The idea might have been pushed further; as it stood, it did not really do a great deal other than remind us when the work was written. Perhaps that might have been more than the work could have taken, though Christopher Alden’s superb Midsummer Night’s Dream for ENO suggests bravery in staging may be the way forward for Britten’s slighter operas. Designs by Ultz – just ‘Ultz’, presumably like ‘Jesus’, or ‘Voltaire’, his ‘mystery’ enhanced by the lack of a programme photograph – were handsome, colourful, even witty. If we must have the 1950s on stage all the time, this was a model of how to accomplish the task. Lucy Burge’s choreography and the work of various actors and dancers were equally estimable. I could have done without the cumbersome business of each scene being introduced by a gang of children holding up letters to spell, ‘Nonesuch Palace’, ‘The City’, and so on, but apparently some members of the audience found that side-splittingly hilarious. It is meet and right that opera houses should grant the possibility to reassess works and indeed composers, lest unfair historical verdicts go uncontested. The production earlier this season of Meyerbeer’s Robert le Diable is a case in point. Yet I suspect that the uninformed vitriol poured upon a flawed yet intriguing grand opéra will be matched this time around by calls of ‘disgracefully neglected masterpiece’. We should all like to find another operatic masterpiece, but wishing does not make it so; for that, we should do better to turn our attention to the future, not least to the new work Covent Garden has commissioned from George Benjamin and Martin Crimp. Works as different as The Minotaur and Written on Skin, masterpieces both, suggest ways forward; yet it does us no harm occasionally to reflect that creation of masterpieces may not only alleviate but also be facilitated by the possibility of failure elsewhere. My most recent blogpost turned out to be my 1000th. No one can be more surprised about having reached that milestone than I am; when I started out, just over six years ago, I really had no idea what I was doing, barely knowing what a ‘blog’ was. I had made a pilgrimage to Berlin, for what still remains one of the most extraordinary musical experiences of my life, the opportunity to hear in a little over a week all of the Mahler symphonies, in performances by the Staatskapelle Berlin, conducted by Pierre Boulez and Daniel Barenboim. Whilst there, it occurred to me that it would be a nice idea simply to record some of my impressions. Having returned home to Cambridge – as home then was – I sent my little report of those performances to a few interested friends. One of them suggested that others, whom neither she nor I might know, might also be interested to read an English-language report, and that setting up a blog would be a way for them to reach it, should they wish. Being anything other than a technologically-minded person, I was quite pleased with myself for managing to do that without any help from anyone else. So unversed was I in the ways of this new world, that it had never occurred to me that I should need a name for the blog; so, when I was asked, I simply wrote the first thing that came into my mind, doubtless a consequence of Boulez’s pre-eminence in those performances, but not even realising that it was anything more than a user-name, such as I had for e-mail. Though offering a tribute to the man I still regard in many ways as the conscience of new music was far from unfitting, there was thus a great deal of ‘happenstance’ in the naming: not entirely unlike that of his wonderful choral work, Cummings ist der Dichter (not, incidentally, a work of which I have had any opportunity to review a performance). Perhaps, then, it would have been especially fitting, had that final posting of the first thousand related to Boulez in some way, but it did not, and I had no intention of writing something just for the sake of such symmetry. (More to the point, I only realised the day before that I was approaching my 1000th posting!) However, were I not dealing with Boulez, it would have been difficult to happen upon something more appropriate than a memorial concert to Sir Colin Davis, whose performances, largely with the LSO and the Royal Opera, consistently lit up my musical life until his death earlier this year. Indeed, I recently noted that the little tribute I wrote, immediately upon hearing of his passing, has been the most-read item here. And now my 1001st is able to feature them both. I could hardly fail to include it, given the formative status mentioned above; nor, however, should I ever have wished not to do so. A truly astounding performance at the Royal Opera House; somehow, Davis’s ineffable magic managed to redeem what ought to have been irredeemable, given the tawdry production. I heard three out of the eight recitals Barenboim gave at the Royal Festival Hall. Somewhat arbitrarily yet perhaps inevitably, I select here the final one, ending with op.111. Gluck remains perhaps the most scandalously neglected of all musical dramatists. Barrie Kosky’s scintillating production of perhaps his finest opera offered a standing rebuke to the silence from other houses. Self-recommending, one might think, but this concert with the Scharoun Ensemble and Barbara Hannigan went beyond that to undoubted greatness; I doubt that any of the works performed has ever received a superior performance. An historic event, to be sure, but also a profoundly musical experience, culminating in Schubert’s great B-flat sonata, D 960. The premiere of Robert Carsen’s production at the Prinzregententheater offered one of those rare occasions when everything worked together and proved so much more than the sum of its considerable parts – especially to be valued in this of all operas. I have been fortunate enough to see Stefan Herheim’s staging of Parsifal three times now, twice conducted by Daniele Gatti. Here I have chosen the stunning experience of my first encounter; it remains the case that I have seen no better production of any opera, anywhere. I agonised over whether to include this Wigmore Hall concert, since part of its memorability is ‘extra-musical’. However, the way in which musicians and music rose above disruption proved both admirable in itself and a proper reminder that there is no more ideological a construct than ‘absolute music’. In truth, I could have chosen any of the five ‘Pollini Project’ recitals given at the Royal Festival Hall, in which our greatest living pianist performed works from Bach to Boulez. How, though, not to single out transcendental accounts of opp.109-11? Not that any of us in the know has ever doubted it, but here were a searing performance and production, directed by Benedict Andrews, starring Tom Randle and Pamela Helen Stephen, that demonstrated beyond doubt the towering greatness of opera’s first titan. A signal achievement, in turning an opera that so readily palls into a great evening’s theatre: a staging, then, much better than the work itself. Perhaps the ultimate challenge, met more successfully than any performance I have heard since Klemperer’s EMI recording. This was a reckoning indeed with Beethoven’s towering masterpiece. A performance that went far beyond the self-recommending, as much a summation of a life as Sir Colin’s Missa solemnis. Again with the excellent Barbara Hannigan. This is the only performance I have ever heard that ‘worked’ in St Paul’s Cathedral. And how! The last time I heard Davis conduct. A triumphant, life-affirming conclusion to a triumphant, life-affirming Proms cycle of the Beethoven symphonies (and works by Boulez). The symphonic Beethoven regained meaning, regained burning necessity. Bernd Alois Zimmermann’s masterpiece receiving its Salzburg premiere, showing, amongst other things, that when the Vienna Philharmonic puts its mind to doing so, it can be a great advocate for new music. Goodness knows how the Birmingham Opera Company under Graham Vick managed to give the premiere of Stockhausen’s opera, helicopter quartet and all, let alone to do so with such incredible success. This achievement arguably puts all of the others mentioned here in the shade. Unforgettable! The first time around, I had had no doubt what a fine work this was, but it had not quite knocked me for six as Gawain had on only my second ever visit to the Royal Opera House. A superior conductor made all the difference on the 2013 revival. If not quite the birth of a masterpiece, given that it had been premiered the previous year in Aix, my first encounter with what will surely be judged a key opera of the twenty-first century.